In February 1992 the Labor Party held its primaries and Yitzhak Rabin was selected Chairman of the Labor Party. 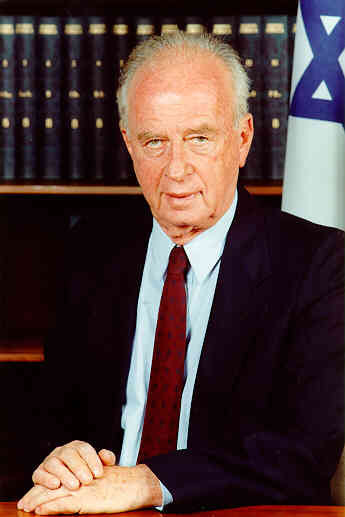 Elections for Prime Minister were held in June 1992 and Rabin won. This was the first election victory for the Labor Party in 15 years. Rabin's tenure as Prime Minister was marked by three historic events: the Oslo Agreements with the Palestinians, the Treaty of Peace with Jordan, and his assassination. It was on the evening of November 4, 1995. There was a large pro-peace rally in Tel Aviv's Kikar Malchei Yisrael square for the purpose of increasing Israeli political support for Rabin's Oslo so-called peace process with the Palestinians. More than 100,000 people in favor of Rabin's agreement with the PLO attended the event. Shortly before 9:30PM, Rabin was escorted off the stage by Miriam Oren, the director of a department in the Na'amat women's movement. Rabin walked down the stairs and was walking towards his official car. When he was within about 2 meters from his waiting car, three shots were heard. Rabin looks behind him from the direction in which the shots were fired, walks a few more steps and then quickly gets whisked into his car by security. Oren was a witness to the incident and was interviewed on TV immediately after. Oren: "Rabin was not wounded. I saw that Rabin was not wounded. Yes, there were shots. They pushed him [Amir] up against the wall, and Rabin's car sped out of here. I was standing very close to Rabin's car. Rabin put one foot in the car, and we heard shots. Rabin's car sped away. The nearest hospital was the Ichilov hospital about 600 meters away. This is about a 5 minute walk and less than a two minute drive. However, Yitzhak Rabin's car arrived at the Ichilov hospital 10PM. He was on the operating table at 10:05PM, under anaesthesia at 10:10PM, and operated on beginning at 10:15PM. The person apprehended at the scene for the crime was Yigal Amir. His arrest warrant showed that the time of his arrest was 9:30PM. There is the Kempler video that shows the entire sequence. As Rabin walks toward his car, Amir is situated at his behind and to his left. Amir shoots. There are shouts that a number of people heard and attested to. The shouts essentially state that the bullets are blank. If the bullet that Amir shoots hit Rabin, it would have had to hit him on his left side or back. In the Ichilov operating room, Dr. Guttman operated on Rabin's wound beginning in the upper lobe of the right lung, which exited the lung in the direction of Dorsal Vertebrae 5-6, leaving a 2.5-3 cm. exit wound in the lung. This wound is not consistent with a scenario in which Yigal Amir is the assassin. This is the medical record written by Dr. Guttman indicating that when he was operating on Rabin, there were two gunshot wounds to the chest. At 11:10PM this evening, as a result of a murderous assassin and incitement Prime Minister and Defense Minister Yitzhak Rabin was murdered. Yitzhak Rabin was wounded by three bullets. A bullet to the chest, another bullet to the stomach, and a third to the spinal cord. The wounds were harsh and Yitzhak Rabin came to the hospital without a pulse or blood pressure. Tremendous and extended revitalization efforts did not succeed. Dr. Gabi Barabash, director general of the hospital was interviewed the evening of the assassination. TV interviewer: What were Yitzhak Rabin's wounds? Dr. Barabash: Yitzhak Rabin had one wound in the chest that was very severe that effected his spinal cord and the organs near the heart. The second wound that wounded the spleen. These are the two wounds. Yitzhak Rabin received during the hour or so that he was treated 21 servings of blood. This was not able to stabilize Yitzhak Rabin. TV interviewer: Yitzhak Rabin, in fact, passed away from loss of blood because of the wound to the spleen? Dr. Barabash: Yitzhak Rabin passed away from a multiple and complicated wounds that caused massive blood loss and that effected Yitzhak Rabin's spinal cord. This is called spinal shock. During the salvo I jumped towards the Prime Minister and his personal bodyguard (Yoram Rubin). I didn't hear any cry of pain from the Prime Minister or from his bodyguard and I didn't notice any traces (signs) of blood. I and the personal bodyguard put the Prime Minister into his car and Rubin jumped with him inside and the car quickly exited the area. At this stage it wasn't clear to me whether the PM or the bodyguard were hit or not. There are many questions. Here are some. 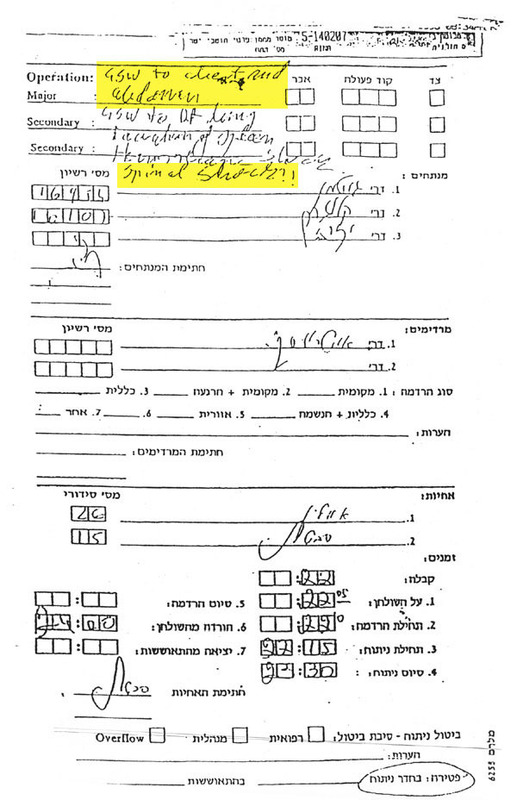 Why did the three doctors who operated on Rabin submit, in their handwritten medical report that Rabin suffered a gunshot wound to the chest, when Amir was seen firing at Rabin only from behind? Why did security guard Yoram Rubin testify before the Shamgar Commission that Rabin was shot at 9:50 PM, when in fact Yigal Amir was arrested at 9:30 PM? Why did many people testify that they heard shouts that the bullets were blank? And why was Rabin's wife, Leah, told by Shabak security as she was driven away from the rally that the bullets were blank? Why did Rabin's driver, Menachem Damti, testify before the Commission and at Amir's trial that he drove to Ichilov Hospital in less than two minutes, when the ride actually took over 20 minutes? Why did official State Pathologist Dr. Yehuda Hiss not mention the chest and spine wound in the autopsy report, when in fact all the other doctors there, including Gutman, Sneh and Barabash, reported that Rabin died of a shattered spine with bullet entry through the chest? Why did the chief judge at Yigal Amir's trial, Edmond Levy, dismiss the testimony of police forensics expert Inspector Baruch Gladstein, who proved categorically that one gun shot was fired into Rabin at point-blank range - about a half-meter closer than Amir ever got to Rabin? The conclusion of these questions is that the official version of Rabin's assassination is not correct and there was something even more sinister that happened involving Rabin's body guards, Rabin's driver, the Shabak security agency, and perhaps even Shimon Peres. More questions, evidence, and inconsistencies can be read about in various websites. For a full discussion of the medical inconsistencies read the report of David Rutstein. The investigative work of Barry Chamish can be found at www.thebarrychamishwebsite.com and the investigative work of David Rutstein can be found at www.shimonperes.net/davidrutstein.htm . And, of course, there is an article about the controversy and conspiracy theories on wiki.